Family law in Sonoma County has an interesting flavor. The diversity in political, cultural and ethnic composites can be felt here from town to town. Santa Rosa is the obvious commercial and civic hub of the county, and it's business/government buzz has the feel that this is where you officially "get things done". Outlying towns like Sonoma, Sebastopol and Healdsburg, Graton and Forestville emphasize lifestyle and quality of living, with an emphasis of embracing the alternative or cutting edge in conscious living. Workhorse towns like Windsor, Petaluma and Rohnert Park breath in a healthy dose of conservative restraint and pragmatism. Family law in California’s north bay region reflects the diverse traditions and heritage that all these local towns represent. So it is no surprise that when it comes to divorce in Sonoma county, there are a wide range of options available. Traditional divorce lawyer representation with contested divorce is a mainstay here in Santa Rosa and the outlying towns, as it is most places in the United States. 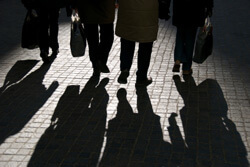 However, collaborative law, mediation and self-help divorce assistance are also available. But now there is a new, innovative, accessible and affordable divorce model available, based on an efficient blend of the best of all that these divorce processes have had to offer, and with some much needed evolution and refinements added! 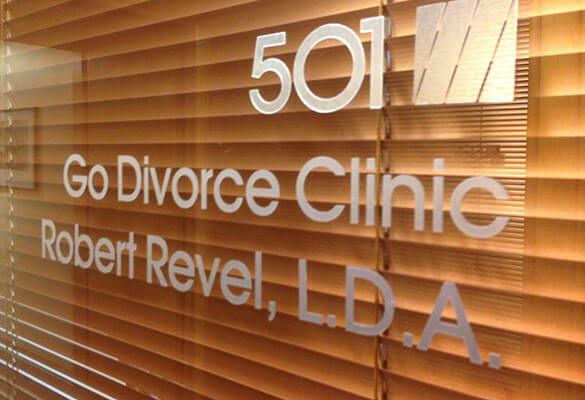 Now there is a new divorce professional on the block, and at Go Divorce Clinic he is known as a divorce facilitator. There is obviously no shortage of divorce lawyers in Santa Rosa, Ca. Most of them will tell you to be very worried about your “rights” in a divorce. I also see many Santa Rosa divorce attorneys speak about how “complex” a divorce is, and how you should not try to get a divorce in Sonoma County without first hiring a divorce lawyer. This fear mongering is necessary for them to do if these divorce attorneys are to get people to invest large amounts of time and money into hiring them for a task people can do themselves with help from professionals that promote cooperation and information instead of fear and polarization. It’s like a dirty little secret these lawyers do not want to admit, that 95% of all divorces in the United States are uncontested, and do not ever go to hearing. That means that 95% of all divorcing couples eventually find agreement without needing the services of a lawyer to represent them in Court. In these cases what divorcing couples in Santa Rosa, and across the whole country, really need is a divorce facilitator, as modeled by the divorce specialists at Go Divorce Clinic. I always say that if family law attorneys are so concerned about a divorcing person’s rights and lack of knowledge, then why aren’t they advocating as strongly for a service that is more informative through limited scope representation and legal consulting instead of scaring people into hiring a lawyer to represent them in a contested divorce? The answer, in defense of lawyers to some degree, is that they are schooled and trained to defend or attack an “opponent”, the “opposition”, the other side. Divorce lawyers live in an adversarial world. But pitting divorcing couples against one another is in the majority of cases not in any one’s best interest. The unfortunate reality is that promoting a fight in a divorce is always more lucrative to family law attorneys than an uncontested divorce. Divorce without lawyers. Divorce without mediation. Now you have a divorce alternative like no other. At Go Divorce Clinic you have divorce assistance in Santa Rosa. Discover how our divorce facilitator gives you real and useful information, and the kind of assistance that promotes cooperation and resolution for your divorce, instead of costly legal battles that drag on and on leaving you and your family depleted in every way. You are only one fee free divorce consultation away from saving you and your children from the nightmare of contested divorce with attorneys. To schedule a consultation contact GDC at 707-431-2363 or Email.